In her 15-year-long career, Kareena Kapoor Khan has seen both ups and downs, but the actor says her love for acting is what keeps her going. She said the fact that she is getting the opportunity to do the work of her choice is her biggest achievement. “I’ve never taken my success and my failure too seriously. I’m fine with it all. If the movie is a success then great, if it’s not that’s also fine. I just love my job. The idea is in doing something that I love the most and that’s acting and it is more important than success or failure. Most people don’t get the opportunity to enjoy their job but I do and that is my achievement,” Kareena said. After giving birth to son Taimur in December 2016, Kareena went on a maternity leave. The star kid has already become a paparazzi favourite and the 37-year-old actor wants him to have a normal childhood. “I just don’t want him to be looked upon as a star-kid. I want him to grow up as normally as possible. I want to let him be just the way he is,” Kareena said. The actor is now looking forward to her next movie Veere Di Wedding alongside Sonam Kapoor and Swara Bhasker. “The film is about four women and it’s an easy chick flick. It’s a kind of film I’d want to say yes to. I am hoping for the best,” she said on the sidelines of noted designer Anita Dongre’s campaign #ANDiRISE, which talks about young women achievers from different walks of life. Kareena said the campaign is about celebrating women who are breaking stereotypes. “I feel the modern Indian woman plays diverse roles, lives her life to the fullest and fulfills her choice with confidence and style. She is the woman who creates her own destiny and is unstoppable. I believe in what I do and I have my own identity,” she said. 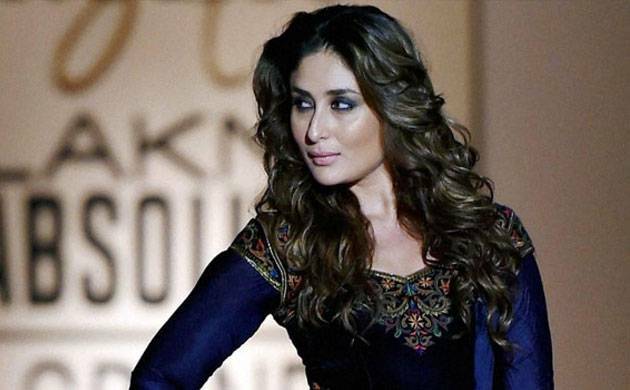 The designer said she chose Kareena as her muse as the actor represents the effortless style.